David Cassidy, the seventies heartthrob, was arrested in Southern California Friday night on suspicion of drunken driving. According to the California Highway Patrol, David Cassidy, 63, was stopped near the Los Angeles International Airport on Friday after a Los Angeles police offer spotted him turning right illegally against a red light. 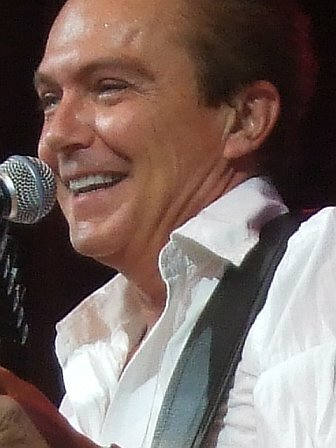 The Los Angeles police officer determined David Cassidy may have been driving under the influence of alcohol after he smelled alcohol in Cassidys rental car. The Los Angeles Police Department released David Cassidy on Saturday morning after he posted a $15,000 bail. Cassidy will reappear in court on February 5, 2014, at his DUI arraignment. This is not the first time the seventies star has had run-ins with the law. David Cassidy was previously stopped in New York on suspicion of drunken driving. He also has a previous DUI conviction in the state of Florida after he was arrested and convicted of drunken driving in 2011. Although David Cassidy is an American actor, singer, songwriter and guitarist, he is most well-known for his role playing Keith Partridge in the 1970s television show The Partridge Family. He later enjoyed a successful musical career singing pop favorites. He still performs today. Born on April 12, 1950, at Flower Fifth Avenue Hospital in New York City, Cassidy has been married several times, first to Kay Lenz, whom he married in 1977 and divorced in 1982. He later married Meryl Tanz, whom he married in 1984. Their marriage ended in 1988. Cassidy has one daughter with Sherry Williams and a son with Sue Shifrin, whom he married on March 30, 1991. The couple has since separated and live apart. How did David Cassidy get his first big break? Cassidy made his professional debut in The Fig Leaves are Falling, a Broadway musical. It closed after only four shows but a Los Angeles casting director who had seen the show convinced David Cassidy to come to Los Angeles and do a screen test. Later David Cassidy moved to Los Angeles, signed a contract with Universal Studios and appeared in a variety of television shows including Ironside, Marcus Welby M.D., Adam-12 and Bonanza before getting his big break on The Partridge Family. David Cassidy, if convicted of a second DUI, is likely to receive probation for at least three to five years, receive a "mandatory minimum" of 96 hours in the county jail, be required to pay a $390 fine and penalties totaling up to $2,000, forced to attend an alcohol DUI school for 18 to 30 months, have his license suspended, and be required to install an ignition interlock device on his vehicle. Enhanced penalties may also be assessed under certain conditions for a second Los Angeles DUI arrest and conviction. If you have been arrested for DUI, like David Cassidy, its time to talk to a DUI lawyer to discuss DUI penalties for your arrest.